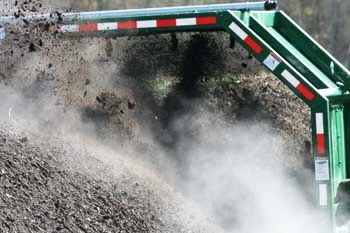 In 2008 the Laurens County Landfill in Georgia created an innovative composting program that allows it to compost everything from biosolids, to animal mortalities for the benefit of both the landfill and the local community. Last year the landfill began composting food waste. When its food waste composting program is fully implemented later this year Michael Snipes, the director of Laurens County, predicts that they will have composted at least 650 tons of food waste from local schools and a state prison. Across the nation, food waste composting for profit, cost-savings, and reducing pollution are growing trends, yet odor control still remains a challenge. Snipes's program has had no odor issues whatsoever. In 2012 he was recognized by the Georgia chapter of the Solid Waste Association of North America (SWANA) when he won their 2012 “Composting Systems Excellence Award.” In this post he shares some tips for an odorless food waste composting process with an Aeromaster Compost Turner. Biocycle's “The State of Garbage in America,” reports that in 2008 more than 380 million tons of garbage was generated in the United States. The EPA's estimate for 2007 is slightly more conservative, but still an impressive 254 million tons. The EPA estimates that 89 percent of this waste could have been composted or recycled, but only 33 percent was! The rest was buried in a landfill or burned in an incinerator. 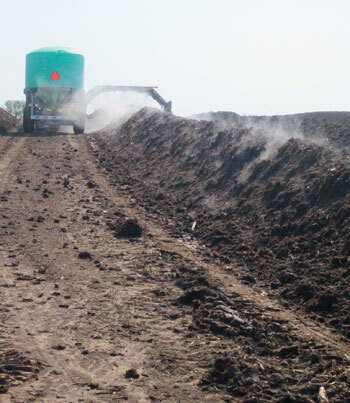 Burying organic waste creates methane as it rots. Methane is a greenhouse gas that is 25 times more polluting than CO2. And burning releases pollutants into the air. But this problem can be solved if the waste is composted instead. Landfills normally become the final resting place for waste, but one landfill in Georgia is quickly turning that stereotype on its head. 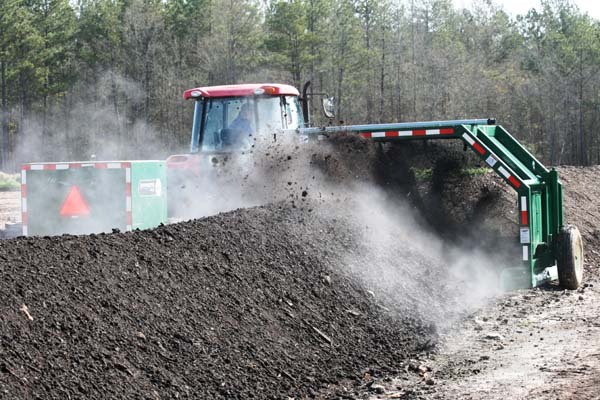 In addition to receiving waste materials, composting is allowing the Laurens County Landfill to innovate and to give back to the local community, economically and environmentally. At the same time the landfill reaps financial benefits in a win-win situation for all. And it all began with biosolids.